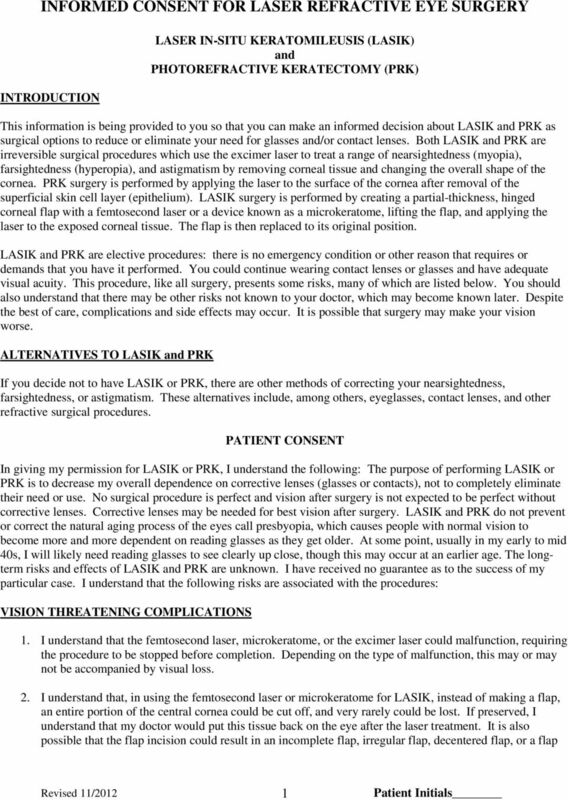 Download "INFORMED CONSENT FOR LASER REFRACTIVE EYE SURGERY"
LASIK Consent Form. 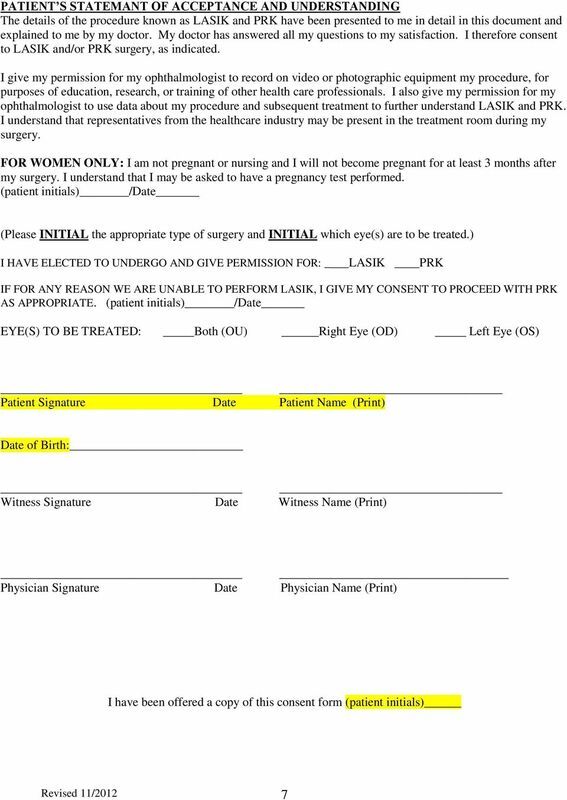 Diagnosis: You have been diagnosed with myopia (nearsightedness) or hyperopia (farsightedness), with or without astigmatism. 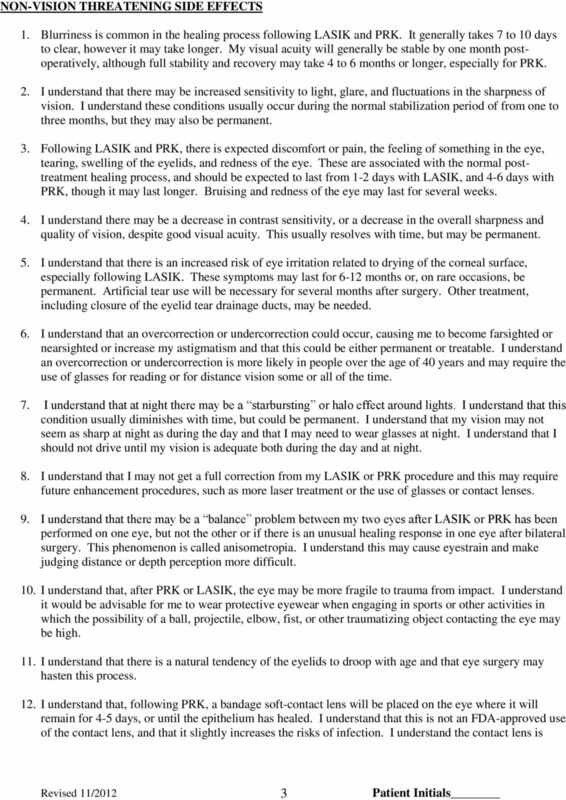 WHAT IS A CATARACT, AND HOW IS IT TREATED? 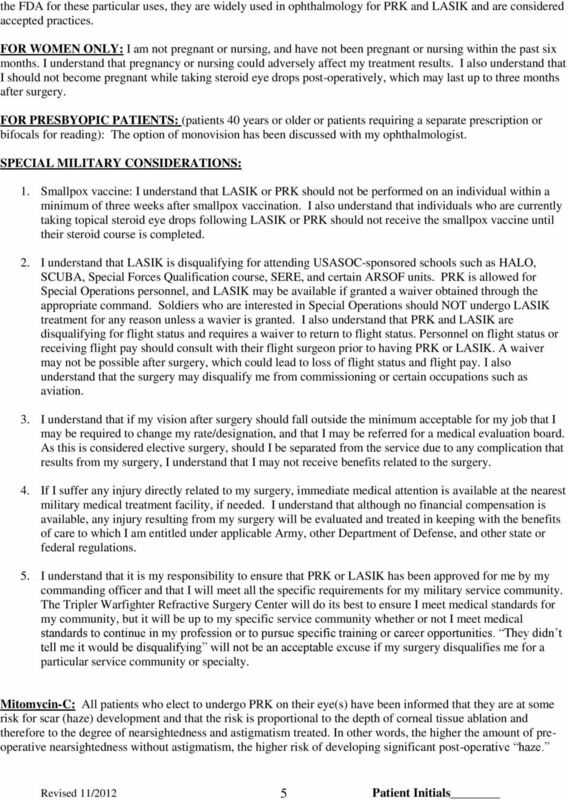 WARFIGHTER REFRACTIVE EYE SURGERY PROGRAM Military personnel perform their duties in a variety of operational environments that may not be the ideal situations for the wear of eyeglasses or contact lens. 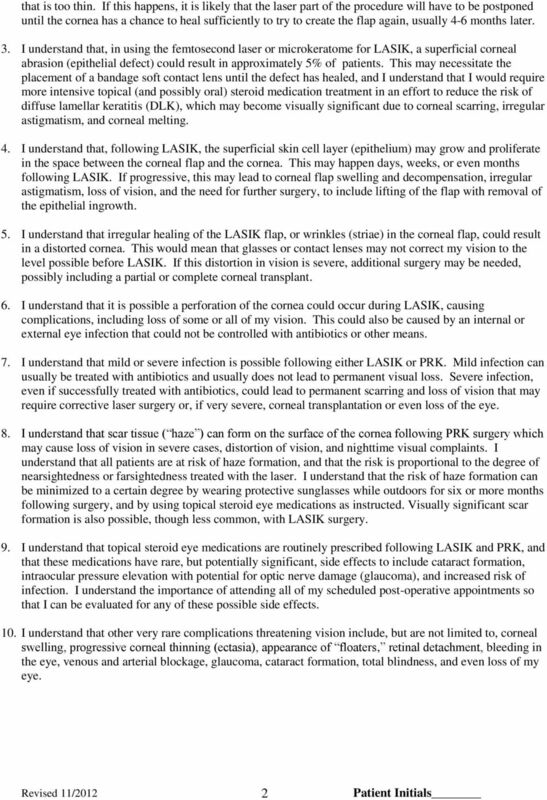 LASIK. 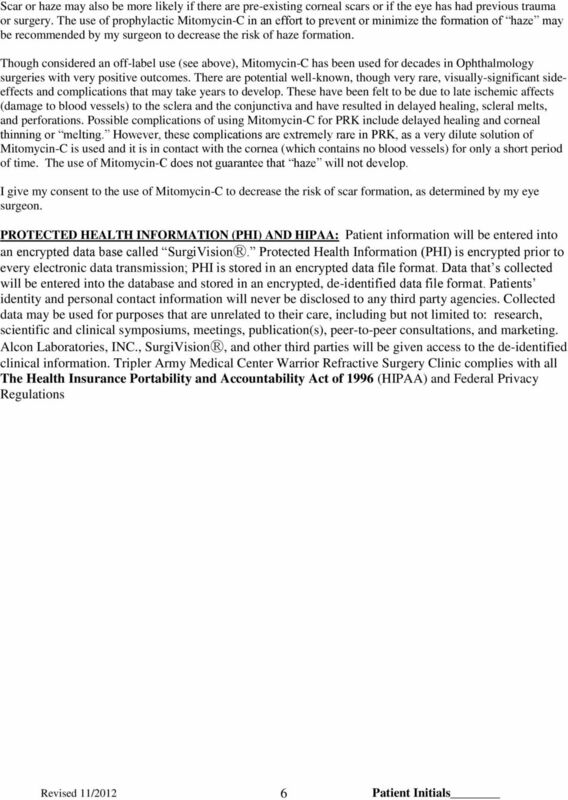 clipboar calculat creditca eye check camera location PATIENT INFO PACKET. 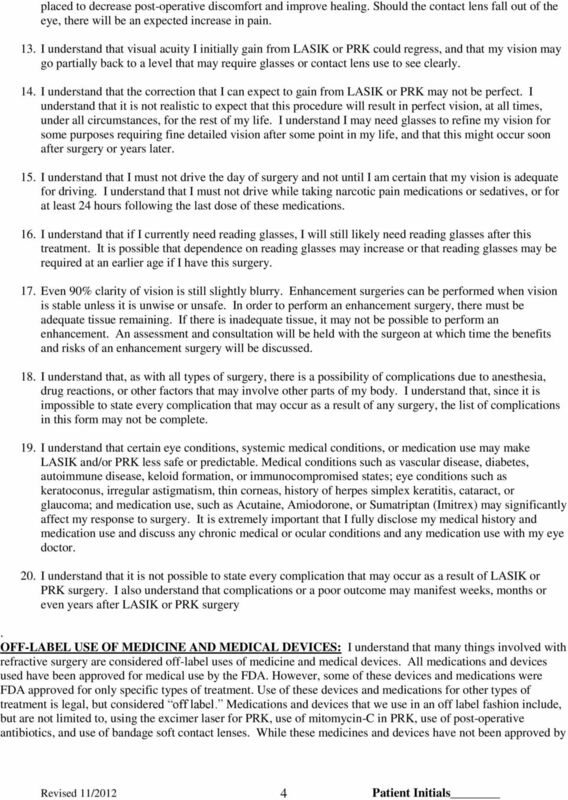 Patient Info. Fee Schedule. Payment Policy. The pinnacle of refractive performance.